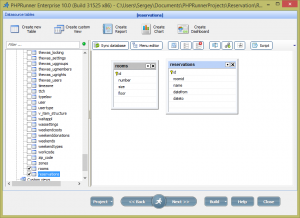 Rooms table simply stores a list of rooms. Each reservation is a record in Reservations table. 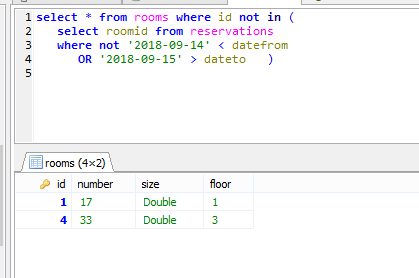 We can see that if someone comes and tries to reserve a room for one night, September 14-15, they should only see rooms 17 and 33. Rooms 23 and 27 are already booked for these days. This is all the code you need. 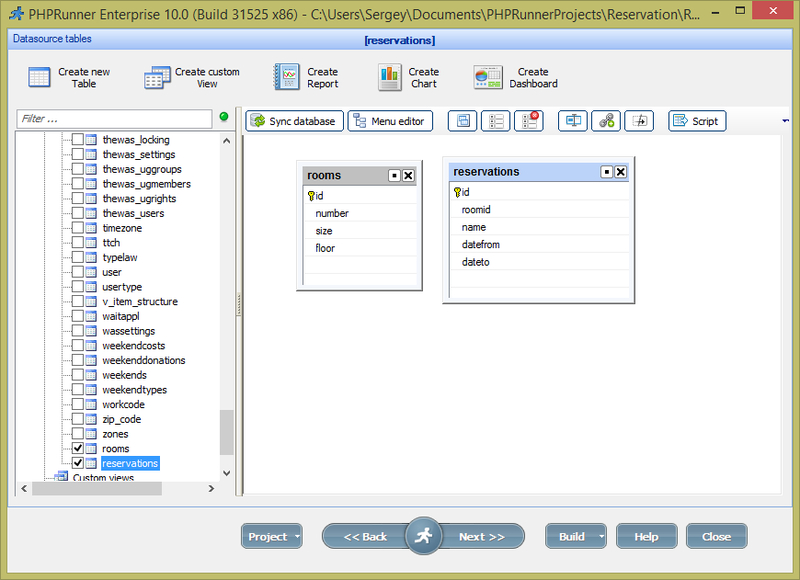 And it works the same way in PHPRunner, ASPRunner.NET and ASPRunnerPro. And here is the live demo project. 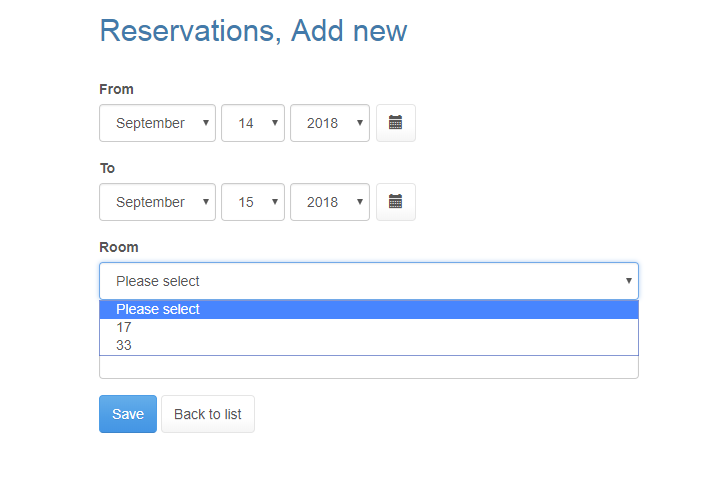 Go to Add Reservation page and play with dates to see how it works. 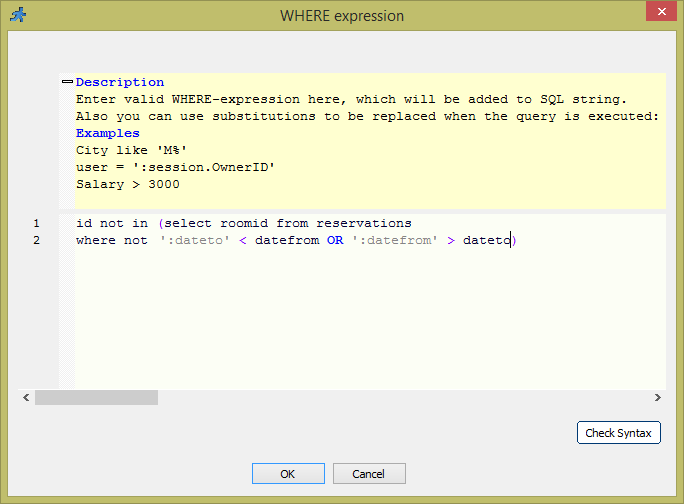 Yes, SQL variables are one of the best new features. I use them all the time now! is most probably because of your date field type. If you have datetime try to change it to date or use convert(dateto ,datetime) !